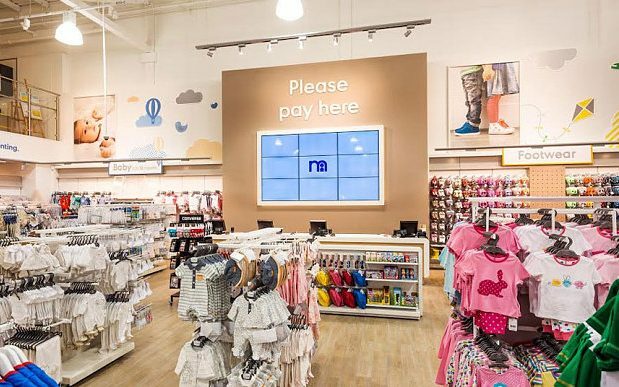 Struggling retailer Mothercare said it was in “constructive dialogue” with its lenders as a return to growth in its online business bolstered sales in an otherwise disappointing first update under its new boss. The mother and baby retailer is reportedly hoping to reduce costs by entering a company voluntary arrangement (CVA) – a form of insolvency aimed at protecting a business from going bust by reducing its costs, which could lead to Mothercare closing a third of its 143 stores in the UK. Total sales in the UK were down 5.6pc in the 12 weeks to March 24, compared with the same period the previous year, while international in-store sales were down 11pc, including currency fluctuations. Online sales gave the company some reprieve, rising 2.1pc, compared with a 6.9pc decline in the previous quarter. The company asked Mark Newton-Jones, who had been running the baby products seller since 2014, to stand down on April 4, replacing him with former Kmart and Tesco executive David Wood. While the company did not mention the CVA in its trading update, Mr Wood said: “We continue to make good progress in reducing the size of our UK store estate in response to changing consumer preferences and in reducing our central cost base”. Over the quarter, its UK retail space was reduced by 10.7pc, with the closure of one Early Learning Centre and five Mothercare stores, leaving 137 branches. Mr Wood said: “My immediate priority is to ensure Mothercare is put back on a sound financial footing and to improve its financial performance”. The retail boss said that the British retail environment was “muted” in the quarter, “with a continuing trend of lower footfall in stores”. He added that the company had been using promotions to attract customers in the “competitive climate”. Zoe Mills, an analyst at GlobalData, said that the company needed to put “greater focus” on its “customer-facing online formats, including apps, and mobile and tablet optimisation, to continue to drive sales online”, to mitigate the decline in store sales. Mothercare is locked in rescue talks with creditors to refinance its debt before it breaches financial covenants. A host of high street chains, including retailers New Look and Select, as well as restaurant chain Prezzo, have attempted to use CVAs to avoid collapse this year. Carpetright became the latest to do so, announcing a similar deal on Thursday.